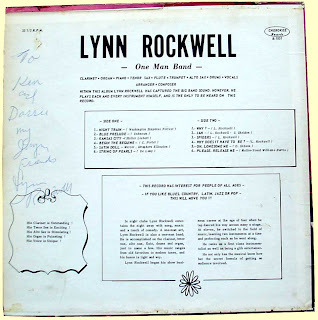 Over the cheapest possible drum machine, Mr. Lynn Rockwell, from parts unknown, plays and sings everything on this private press wonder from 1970. An instro version of the James Brown classic "Night Train" kicks things off with plenty of swingin' horns, followed by the sweet clarinet blowing of "Blue Prelude," which also introduces Lynn's somewhat homely but lovable vocals. Wilbert Harrison's proto-rocker "Kansas City" is remade as a finger-snappin' jazzy lounge tune. Roller-rink organ joins the fun on such songs as "String of Pearls," originally by Glen Miller's big band, now rendered here by a very, very little band. And dig that hipster jive on "Satin Doll"! 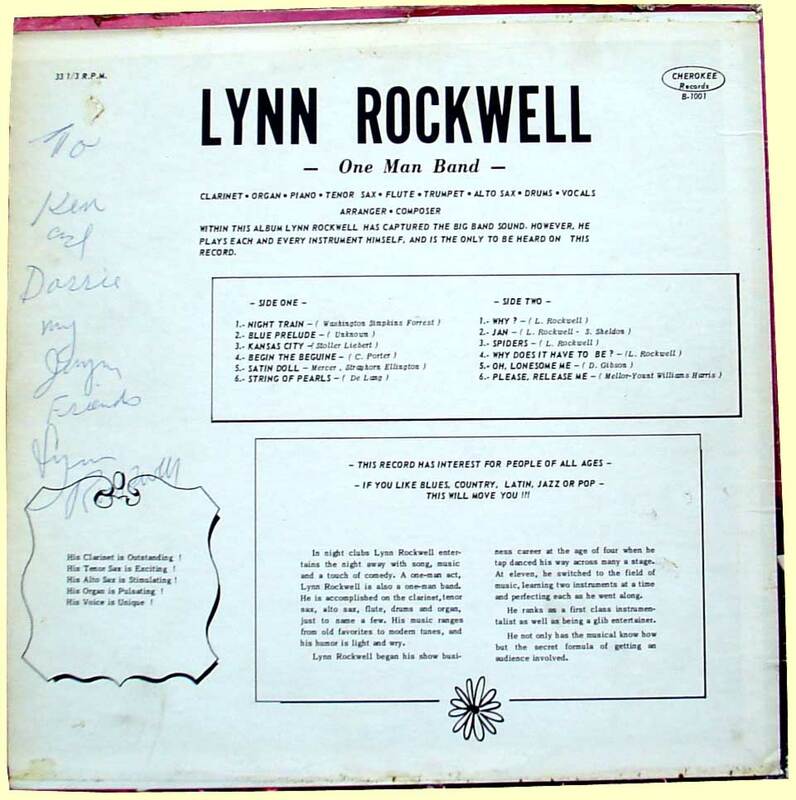 Side two's first four songs are originals by Rockwell, highlighted by the bizarre "Spiders": "I got spiders in my bathrobe, baby/there's no escape for you." Suddenly we're in a dark, remote cocktail lounge somewhere in David Lynch territory. I'm really liking the moody clarinet work on this album. 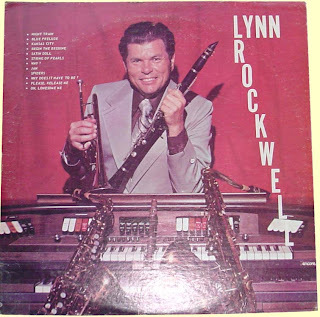 Closing out the album are remakes of the country standard "Oh Lonesome Me" and Engelbert Humperdinck's "Release Me," tho I don't recall Engelbert's version having horns that wander from channel to channel for no apparent reason. This album comes to us courtesy of Jaouad, our only known Moroccan reader. Where my North African peeps at?! Looking forward to listening to this one...thanks! Good stuff! 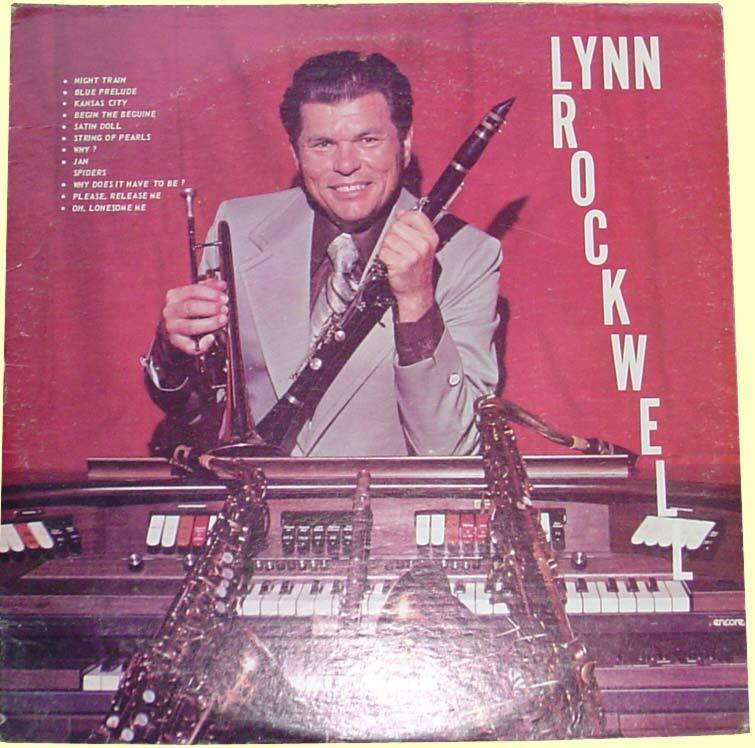 I'm digging that clarinet, too. Thanks! Wow. I was ready for something silly, like the guy in the urine-smelling tunnel between the underground El stations. But this guy is good. The files for tracks 5 and 6 are mislabeled. The one labeled "String of Pearls" is actually "Satin Doll," and versa vice. Is there any chance you could repost this? I would really LOVE to hear this album.